Transparts International managing director Justin Connolly is confident Papua New Guinea has a bright and robust economic future. Justin has lived in Papua New Guinea since 1999 and started his business in 2004, building it to the point where it is now one of the biggest independent spare parts providers in the country, especially in the trucking industry. The company stocks a huge range of parts, lubricants, safety gear, uniforms and tools for trucks and four wheel drive vehicles and is the official parts dealer for Renault and Iveco trucks for PNG. Justin has experienced the ups and downs of the local economy building the company into a major supplier of essential truck components to the resources industry. "We rely on a buoyant resource industry and while it's pretty quiet now, with the price of LNG on the rise, a major gold project in the pipeline at Wafi, and the work underway to improve the infrastructure at Lae, I'm confident we're heading in the right direction. 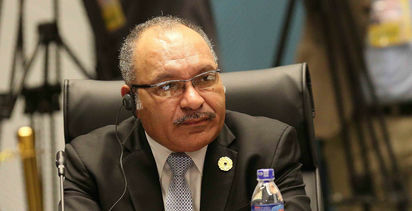 "People are saying that things will get going again in 2019-2020 and I believe APEC will help focus attention on PNG to give the country the added economic boost that is needed at the moment. 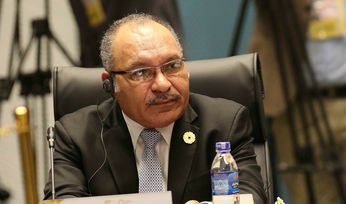 "I think APEC will push PNG to the forefront of the Pacific Rim community with regard to the resources it has to offer. For those who once viewed Papua New Guinea as a rough diamond it will give is the opportunity to demonstrate the country's outstanding potential in mining and oil and gas, but also in support industries such as ours." Connolly told PNG Report that the driving force behind the company's early growth was the ExxonMobil PNG LNG gas project. "We had up to 75 people working for us and we also set up satellite stores inside trucking company workshops where we supplied all the parts and put our own people inside so the companies didn't have to constantly outlay money to bring parts in. The parts were already there when they needed them. "It worked really well during the busy times. There isn't a lot of demand for that type of service at the moment but once the mining and LNG industries pick up we will look at providing the same service again. "We also have a branch at Mt Hagan servicing the trucking companies working in that region." Connolly explained that Lae was the perfect location for a major supplier of spare parts to the trucking and resources industry. "Lae is the gateway to the highlands and the bulk of the transport to business in that region goes from Lae. It is also situated within reasonable distance of a number of major mines." Major mining operations include the Porgera gold mine located in the Enga Province near Mt Hagen, which is the second largest mine in Papua New Guinea and regarded as one of the world's top 10 producing gold mines. The Hidden Valley mine in Morobe Province is another major open pit gold and silver mine while the Ramu nickel project near Madang, on the north coast, is one of the largest and most ambitious mining and processing projects to have been successfully brought into production in PNG during the past decade. But it has not always been plain sailing for Justin Connolly and his team. Transparts had a major setback in 2014 when a fire reduced the Transparts warehouse on Malaita Street, Lae, to rubble and Connolly was faced with the task of maintaining supply to his clients while building a new warehouse and re-stocking. "We had just celebrated 10 years at the same address when a fire in a business next door spread to our warehouse destroying millions of Kina worth of stock," he said. "There was nothing left. We had to airfreight stock into Lae and established the business initially at my home and later to a new warehouse. It was a difficult time but we had amazing support from our customers and my staff. The satellite stores certainly came in handy at that time and we were able to draw stock down from them." The company's Lae warehouse today stocks a huge range of parts for trucks, as well as a variety of items for the mining, industrial, civil construction, marine and aviation components, work wear, tools, industrial consumables, nuts, bolts and washers, parts for the petroleum industry and work wear. The latest major mining project in the pipeline is Australian mining company Newcrest Limited's Wafi-Golpu joint venture with South African miner Harmony Gold, which is located in the Morobe Province and is expected to generate about 161,000 tonnes of copper and 266,000 ounces of gold per year over its mine life. Trucks are the major supply chain for the mining industry in PNG and Transparts International is at the forefront of operators helping to keep the vehicles on the road. "We sell just about everything on a truck," he explained. 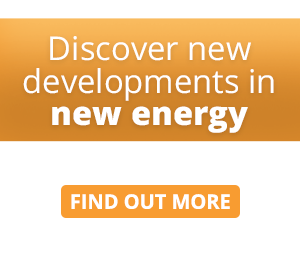 "We supply direct to the mines and to the transport companies. The more trucks that are on the road the more maintenance and parts they're going to need. "We get weekly shipments from our main source of supply, Australia, but also from Singapore and China, and we deal directly with the source rather than through agents, cutting out the middleman and because we do bulk, we get bulk prices." Connolly said it was important to maintain a flexible attitude towards customers.  "It becomes a win-win situation because the more competitive my prices the more the companies deal with me and the better the buying power, which in turn equates to savings we can pass on to our end users. "Because we have established ourselves in the marketplace over the years our shipping rates are highly competitive and with the expansion of the port facilities in Lae it is now able to handle more business. Sea freight takes two to three weeks and air freight three to four days from Australia. We use DHL. "As we sell something we re-order a replacement so that if a customer wants that part it is either in the warehouse, on the water or waiting to be cleared on the wharf. "It's a case of always trying to be pro-active to ensure our customers are getting the component when they need it at the best price available." He said he had been asked on several occasions by customers whether he could print a catalogue of all the products in stock. "We have too many products to put in a catalogue, it would be just too big to handle," he exclaimed, laughing. "We have thousands of items in stock from air bags, air brakes, alternators, axle seals and axles through to suspension systems, tankers, towing eyes, trailer suspension, trailer couplings, truck differentials, truck hoses, truck rims, truck seats, turbo, turn tables, tyres, winches and chains. "Everything to repair or replace on a truck." But added to the trucking components are parts for the petroleum industry, aviation gear, tools, work wear and a range of environmentally friendly chemical and spill control products. Connolly said they were now also stocking a diesel Biocide fuel treatment. He explained that diesel fuel can be infected by what is referred to as ‘diesel bug', a common term for a number of contaminants that include microbial bacteria, fungi and algae. The Biocide fuel treatment is an additive that eliminates and stops bacterial growth, which includes bugs, algae, bacteria, yeast, moulds and fungi. Located in the Morobe Province, Transparts International Limited is a privately owned One of the Leading Trucks and Trailers Parts Distributors in Lae founded in 2004.